Mono Sodium Phosphate or Monosodium Phosphate (NaH2PO4, MSP), also known as anhydrous monobasic sodium phosphate or monosodium phosphate or sodium phosphate monobasic, is used as a laxative and, in combination with other sodium phosphates, as a pH buffer. Please visit Monosodium phosphate or Monobasic sodium phosphate monobasic IP BP USP FCC for specification. Di-Sodium Phosphate or Disodium Phosphate (Na2HPO4, DSP) or disodium phosphate or dibasic sodium phosphate or sodium phosphate dibasic is a sodium salt of phosphoric acid. It is a white powder that is highly hygroscopic and water soluble. 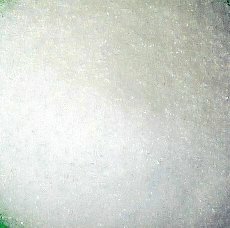 Disodium phosphate is therefore used commercially as an anti-caking additive in powdered products. It is also known as Di sodium hydrogen orthophosphate, sodium hydrogen phosphate or sodium phosphate dibasic. Sodium Phosphate Dibasic is commercially available in both the hydrated and anhydrous forms. Disodium phosphate DSP or Sodium Phosphate Dibasic can be used in cream of wheat to quicken cook time. Disodium phosphate DSP or Sodium Phosphate Dibasic is used in conjunction with TSP in many steam boiler applications. Sodium Phosphate Dibasic supplies the inventory of free phosphates to retard calcium scale formation. Please visit Disodium phosphate or Dibasic sodium phosphate dibasic IP BP USP FCC ACS for specification. Tri Sodium Phosphate or Trisodium Phosphate (Na3PO4, TSP), or trisodium phosphate or tribasic sodium phosphate or sodium phosphate tribasic is available at most hardware stores in white powder form, is a cleaning agent, stain remover and degreaser, commonly used to prepare surfaces for painting. It can also be called Tri sodium orthophosphate and has the chemical formula Na3PO4; however, it is generally found in hydrated forms. 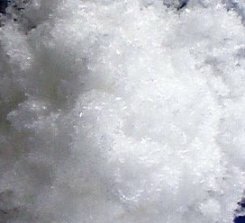 Sodium Phosphate Tribasic is a highly water-soluble ionic salt. Please visit Trisodium phosphate or Tribasic sodium phosphate tribasic IP BP USP FCC ACS for specification.